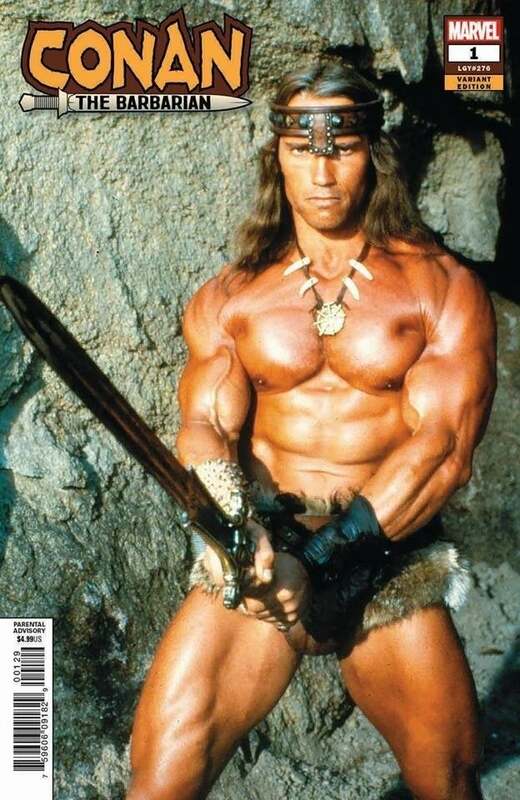 Arnold Schwarzenegger on Monday beamed over Marvel Comics’ Conan the Barbarian #1. The comic book, from writer Jason Aaron (The Mighty Thor) and artist Mahmud Asrar (All-New, All-Different Avengers), features on its cover the action star in his glory from the 1982 John Milius-directed adventure fantasy. The 71-year-old movie star has long been attached to The Legend of Conan under Fast & Furious franchise writer-producer Chris Morgan. In 2016, Schwarzenegger said the stalled project — which he calls Conan the Conqueror, a title borrowed from the never-made sequel to 1984’s Conan the Destroyer — will happen. “Conan the Conqueror, where I’m sitting on the throne for years and years — decades, and then all of the sudden, the time comes when they want to overthrow me,” Schwarzenegger said during an Experience with Arnold Schwarzenegger event. Schwarzenegger confirmed that year an “unbelievably well-written” script was completed and was now in the hunt for a director. In 2017, Morgan reported Universal Pictures dropped the project. “At the end of the day, the studio decided that they weren’t gonna make that. I gotta say, it’s honestly a heartbreak. I love that first movie so much, so much, it’s one of my favorite movies,” Morgan told EW. Schwarzenegger next returns in the James Cameron-produced Terminator 6, tentatively titled Terminator: Dark Fate, where Schwarzenegger plays “a different Terminator than you’ve ever seen before,” according to Cameron. Conan the Barbarian #1 sold out and its second issue sold out at Diamond before reaching stores, indicating interest in the sword-slashing hero remains high. Second printings are available in comic shops now and other merchandise is available via the Conan Comic website.